Catalyst Industry is extremely large and several types of alumna are used in this industry. SAMCA manufactures (using our partners) Pseudo boehmite (PBA), gamma alumna, substituted PBA with Mn and La, and alpha alumna. We also help custom manufacture these products and so their properties are modified to suit a certain industry. Samca also custom manufactures catalyst bed support with spherical or tablet alumna. 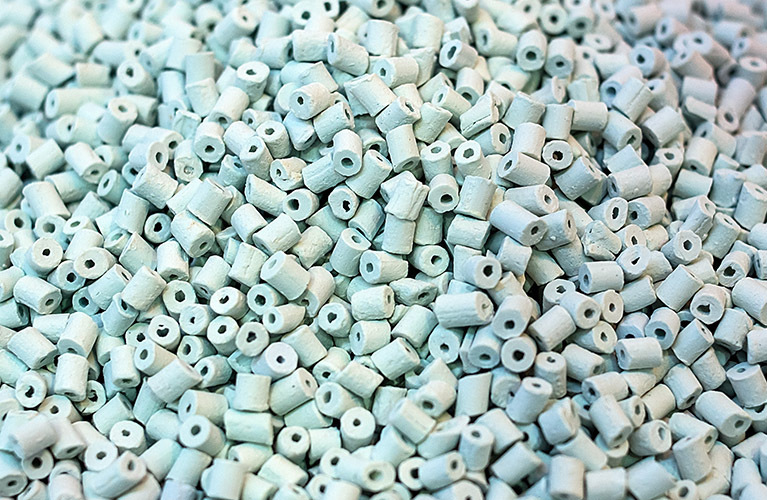 Zeolites are manufactured using our partners that are very critical in this catalyst industry. SAMCA’s TS-1 has three dimensional structures with pore size of approximately 7 Å. It is commercially used as a catalyst in heterogeneously catalysed liquid and vapour phase reactions in fine chemical, pharmaceuticals and perfumery industry. These catalysts are available in different forms such as powders and extrudes. The catalyst is available in 25 and 50 kg packs in HDPP drums. For laboratory evaluation the catalyst can be supplied in 100 g to 1 kg scale in small plastic containers. All data are based upon our Partner’s standard test methods, and all test methods are available upon request. SAMCA’s ZSM5 is a typical high silica Zeolite with MFI-type structure which makes it widely useful as catalysts in petroleum and petrochemical industry. SAMCA’s ZSM5 is also used as a catalyst for the synthesis of specialty and fine chemicals, such as the preparation of ethylene amines. ZSM5 zeolite is a microporous solid catalyst and it can be synthesized in an extensive range of SiO2/Al2O3 ratios and it is obtained in different chemical or cationic from viz. NH4-ZSM5, Na-ZSM5, H-ZSM5, Fe-ZSM5, Cu-ZSM5 etc. ZM0P (i.e ZSM-5 type) zeolite is mainly used as catalyst for diesel hydro- dewaxing, One of the most popular applications of ZSM-5 Zeolite is “additive” for moving-bed FCC catalyst with SiO2/Al2O3 molar ratio 35 - 45. 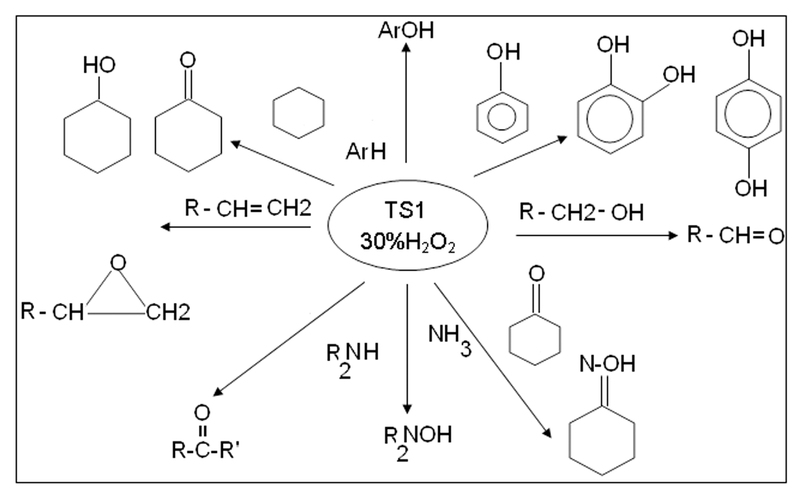 Also, ZSM-5 Zeolite catalyst is used as shape-selective catalyst in many organic reactions, such as synthesis of ethylbenzene and isomerization of xylenes. Using SAMCA ZM0E-40 catalyst with trace quantity of noble metal metal loading the isomerization of o-toluidine to thermodynamic equilibrium mixture of m-toluidine + p-toluidine + o-toluidine (unreacted) the reaction was carried out for more than 100 hours with no drop-in activity. Similarly, it is possible to isomerize p-toluidne or ortho + para- toluidines mixture to a mixture of three (orhto, para and meta) isomers. Also, the ZM0E-40 catalyst is used for isomerization of o-cresol or ortho + m-cresol to mixture of o-cresol + m-cresol + p-cresol with better conversion and selectivity. The catalyst is reusable in the above-mentioned isomerization reactions for multiple cycles. SAMCA ZS0P i.e. Silicalite is a typical high silica zeolite (nil Al) with MFI-type three dimensional structures with pore size of approximate 5.5 Å. Using ZS0P catalyst on Oxidation of Styrene, Styrene Oxide is obtained as a major component while also producing small quantities of Phenyl acetaldehyde (PAA) which is also a useful by-product. The Conversion of Styrene is in the range of 90-95% and selectivity towards Styrene Oxide plus Phenyl acetaldehyde is 95%. The deactivated catalyst is regenerated by a standard procedure established and perfected by our partner company. The regenerated catalyst is further tested for 2 more cycles and found to give almost similar level of conversion and selectivity as that observed with a fresh catalyst.